Academician Vladimir Vyacheslavovich Boldyrev is one of the founders of Siberian school of experts in solid-state chemistry that is of high authority both in our country and abroad. After the defense of his PhD thesis, V.V.Boldyrev, a graduate of Tomsk state university, worked at the TSU sub-faculty of inorganic chemistry from 1951 till 1958, then he was in charge of the sub-faculty of radiation chemistry of Tomsk polytechnic institute. In 1962, he defended the thesis for doctor's degree. In 1963, with the recommendation of the academician N.N.Semenov, V.V.Boldyrev passed to work in the Institute of chemical kinetics and combustion of SB AS USSR, where he has organized the laboratory of kinetics of solid-phase chemical reactions. In 1975, V.V.Boldyrev has been moved to the Institute of physicochemical fundamentals of mineral raw processing of SB AS USSR that was later renamed to become the Institute of Solid State Chemistry and mineral raw processing of SB AS USSR, and in 1997, the Institute of Solid State Chemistry and Mechanochemistry of SB RAS. 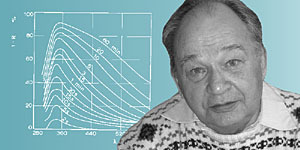 V.V.Boldyrev is the director of this Institute from 1976 to 1998. The basic avenue of scientific activity of V.V.Boldyrev and of the scientific school that he has created is studying of the reactivity of solid matter with the aim to find out the ways to control chemical reactions that run in the solid state. During the research in this field that have made V.V.Boldyrev popular all over the world, a correlation has been revealed between the nature of a disordering effect in crystals on the rate of chemical reactions and the features of the reaction mechanism; the concept of localization and autolocalization of a process has been introduced, and the role of various factors in chemical reactions in the solid state has been shown. Given the mechanism of a reaction, the discovered phenomenon of the feedback has made it possible to project effective procedures to control chemical reactions in the solid phase, by means of generating or, on the contrary, by destructing the defects, through varying the methods to produce solid matter and the methods of its preliminary treatment. The found approach has also allowed solving the inverse problem: based on the effect that specific kinds of defects in crystals have on the reactivity of solid matter, conclusions can be drawn on the features of the reaction mechanism. Important conclusions have been also made regarding the feedback mechanism during a reaction progress. To update the view that was active previously that a process is controlled by the catalytic effect of a solid product, a more correct concept has been created that made allowance not only for the catalytic effect of the product, but also for alternative forms of the feedback (generation of a stress at the phase boundary, shift in the electron-hole equilibrium, etc.). When working on the study of the reactivity of solid matter, investigations have gained the development in the field of mechanochemistry of mineral substances as a procedure to generate metastable states of solid matter that feature higher than usual reactivity. New important evidence has been obtained on the mechanism of unit steps of processes that develop during the mechanical action at the head of a moving crack. Peculiar disorderings in crystals have been detected, such as redistribution of cations between octa- and tetra-positions in the lattices of complex oxides, generation of icosahedral structures in metal systems, formation of metastable polymorphic modifications in molecular crystals. A kinetic model of processes that occur in mechanochemical reactors has been put forward, and the possibility of hydrothermal processes to be realized in the activator has been predicted, which has proved to be true experimentally later. Acquired results in the field of mechanical activation of solid matter have made it possible to achieve in creating mechanochemical methods to accelerate disintegration processes of mineral raw material, to develop the obtaining methods for new materials. In 1993, V.V.Boldyrev, a member of a group of authors, was granted the State Premium of the Russian Federation in the field of science and technology for a cycle of works in the field of mechanochemistry of oxidic and metal systems. A distinctive feature of the school of V.V.Boldyrev is an attempt to use the results that have been obtained during the basic research, to solve applied problems. This can be exemplified by a reference to the created new kinds of photographic processes; to the development of a low-labour technology of metallization of dielectrics; the development of a technology to extract lithium from the associated underground oil and thermal water that is based on the processes of lithium intercalation into hydrargillite lattice; the development of a no-acid procedure to produce mineral fertilizers from phosphoric ores; creating new materials for odontology, for instant medicinal preparations (to take an illustration, "aspinate"); creating new kinds of materials (hydrogen accumulators, various functional materials, new types of cosmetics, etc.). His disciples include more than 40 candidates and 11 doctors of sciences. For many years, V.V.Boldyrev is the Chairman of Dissertation Council on the defense of theses for doctor's degree in the SB RAS Institute of Solid State Chemistry and Mechanochemistry. V.V.Boldyrev heads the sub-faculty of chemistry of solids in the Novosibirsk state university that has been created under his initiative in 1983. In 1994-1996, he has been granted the rank of "Soros professor"according to the results of competition among the Russian professors, and in 1997, "Honoured Soros professor". As of now, V.V.Boldyrev is the director of scientific-and-educational centre "Molecular design and environmentally sound processes" at the Novosibirsk state university that is among 12 centres that have been created in our country with the support of the Ministry of Education of the Russian Federation and the American Civilian Research and Development Foundation (CRDF) under the auspices of the program "Basic research and the higher education". In 1992-1996, V.V.Boldyrev is the president of the International Consulting committee on the reactivity of solid matter. From 1988 to 1997, V.V.Boldyrev is the president of the International mechanochemical association within the IUPAC. V.V.Boldyrev is a member of the bureau of the European association on applied physical chemistry; he is a foreign member of the Japanese society of powder technique, a member of the American Chemical Society and the full member of the Russian academy of natural science. Since 2000, V.V.Boldyrev is a member of the National committee of Russian chemists. He has government awards: the Award of the Labour Red Banner, the order "Badge of Honour", and medals. * The source: Akadyemik Vladimir Vyachyeslavovich Boldyryev (k 75-lyetiyu so dnya rozhdyeniya) // Nyeorganichyeskiye matyerialy. - 2002. - T.38, N 6. - C.767-768. Statistika tsitirovaniya za 1986-2006 gg. Dokumyent izmyenyen: Wed Feb 27 14:46:24 2019. Razmyer: 12,840 bytes.